From 8 March 1934, her married name became Bernadotte. 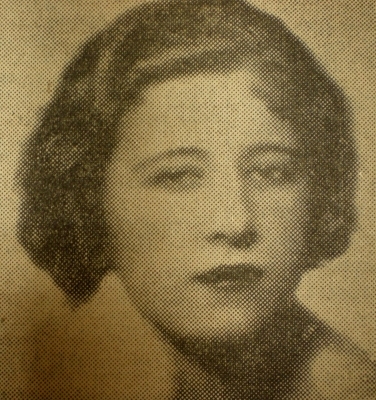 Sonia Helene de Robbert was born on 12 October 1909 at Copenhagen, DenmarkG.1 She is the daughter of Robert Alexander Christensen de Robbert and Ebba Elizabeth Suenson.1 She married Sigvard Oscar Fredrik Bernadotte, Prince of Sweden, son of Oskar Frederik Vilhelm Olaf Gustaf VI Adolf Bernadotte, King of Sweden and Margaret Victoria Charlotte Augusta Norah Saxe-Coburg and Gotha, Princess of Connaught and Strathearn, on 26 October 1943 at Copenhagen, DenmarkG.1 She and Sigvard Oscar Fredrik Bernadotte, Prince of Sweden were divorced on 6 June 1961. From 26 October 1943, her married name became Bernadotte. Elin Kerstin Margareta Wijkmark was born on 4 March 1910 at Stockholm, SwedenG.1 She was the daughter of Dr. Oscar Henning Wilhelm (Petersson) Wijkmark and Elin Mathilda Larsson.1 She married Axel Johnson before 1946.1 She married Carl Johan Arthur Bernadotte, Prince of Sweden, son of Oskar Frederik Vilhelm Olaf Gustaf VI Adolf Bernadotte, King of Sweden and Margaret Victoria Charlotte Augusta Norah Saxe-Coburg and Gotha, Princess of Connaught and Strathearn, on 19 February 1946 at New York City, New York, U.S.A.G.1 She died on 11 September 1987 at age 77 at Båstad, SwedenG. She gained the title of Countess Wachtmeister af Johannishus. From 31 October 1942, her married name became Bussler. Her married name became Bernadotte. Karin Emma Louise Nissvandt was born on 7 July 1911 at Nora, Stockholm, SwedenG.1 She was the daughter of Sven Nissvandt and Anna-Lisa Lindberg.1 She married Lennart Gustaf Nicholas Paul Bernadotte, Count of Wisborg, son of Karl Wilhelm Louis Bernadotte, Prince of Sweden and Mariya Pavlovna Romanov, Grand Duchess of Russia, on 11 March 1932 at London, EnglandG.1 She and Lennart Gustaf Nicholas Paul Bernadotte, Count of Wisborg were divorced on 27 January 1972 at Konstanz, GermanyG. She died on 9 September 1991 at age 80 at Konstanz, GermanyG. From 11 March 1932, her married name became Bernadotte. From 29 April 1972, her married name became Bernadotte. 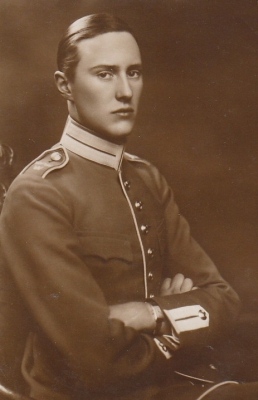 He gained the title of Prince Carl of Sweden. Kristine Rivelsrud was born on 22 April 1932. She married Carl Gustaf Oscar Frederick Christian Bernadotte, Prince of Sweden, son of Oskar Carl Vilhelm Bernadotte, Prince of Sweden and Ingeborg Charlotte Caroline Frederikke zu Schleswig-Holstein-Sonderburg-Glücksburg, Princess of Denmark, on 8 June 1978. 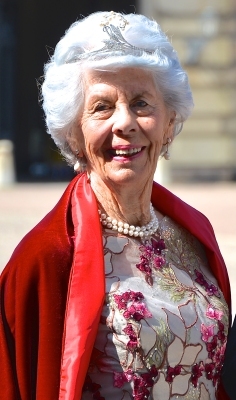 She died on 4 November 2014 at age 82 at Spain. Michael Alexander Sigvard Bernadotte, Count Bernadotte was born on 21 August 1944 at Copenhagen, DenmarkG.1 He is the son of Sigvard Oscar Fredrik Bernadotte, Prince of Sweden and Sonia Helene de Robbert. He married Christine Diotima Elisabeth Wellhofer, daughter of Ernst Wellhofer and Erna Kromer, on 6 February 1976. Christine Diotima Elisabeth Wellhofer was born on 26 April 1947. She is the daughter of Ernst Wellhofer and Erna Kromer. She married Michael Alexander Sigvard Bernadotte, Count Bernadotte, son of Sigvard Oscar Fredrik Bernadotte, Prince of Sweden and Sonia Helene de Robbert, on 6 February 1976. From 6 February 1976, her married name became Bernadotte.